Julia del Río uses diverse artistic strategies for interaction with electromagnetic fields for sound performance. Her concerts sonically translate the invisible world of interference and magnetism without musical compromises. Her sound is always a result of various acts of digital communication. She presents the work “Communication Noise”, a participatory performance where the artist sonifies the electromagnetic waste produced by cellphone interactions. 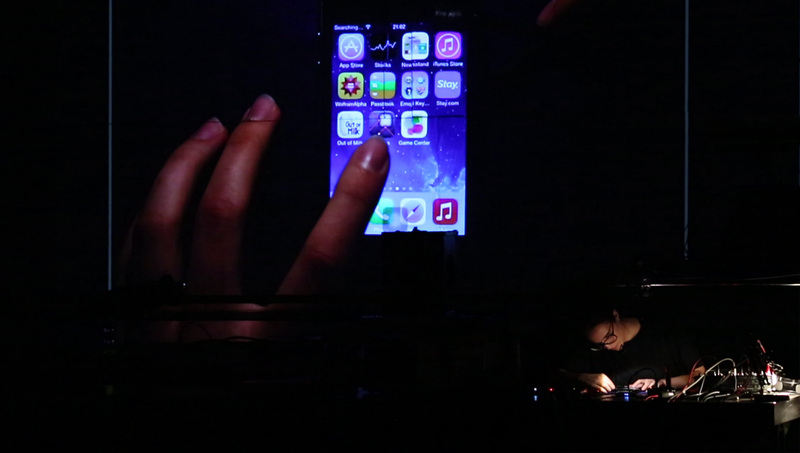 The main component used during the piece is a cellphone, a device which is constantly connected at several levels. The choice of the smartphone as an object of the work, allows her to open up avenues of communication with the audience. An acoustic interplay reveals the processes taking place under the surface of the screen.